In the future, humans are going to be artificially intelligent. That’s the prediction of Ray Kurzweil, director of engineering at Google (GOOGL, Tech30), who spoke Wednesday at the Exponential Finance conference in New York. 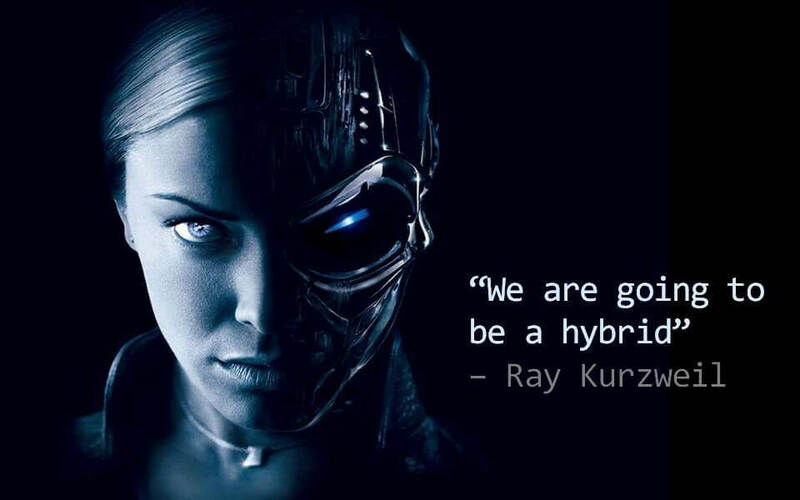 Kurzweil predicts that humans will become hybrids in the 2030s. That means our brains will be able to connect directly to the cloud, where there will be thousands of computers, and those computers will augment our existing intelligence. He said the brain will connect via nanobots — tiny robots made from DNA strands. “Our thinking then will be a hybrid of biological and non-biological thinking,” he said. The bigger and more complex the cloud, the more advanced our thinking. By the time we get to the late 2030s or the early 2040s, Kurzweil believes our thinking will be predominately non-biological. We’ll also be able to fully back up our brains. Kurzweil, who is known as one the world’s leading inventors, has predicted what the future will look like before. In the ’90s, he made 147 predictions for 2009. In 2010, he reviewed his predictions, 86% of which were correct. He gave himself a “B” grade. His correct predictions included that people would primarily use portable computers in 2009, that cables would disappear and that computer displays would be built into eyeglasses. He did admit on stage Wednesday that he thought we’d have self-driving cars by 2009. For those concerned with artificial intelligence taking over the world, Kurzweil said we have a moral imperative to keep developing the technology while controlling for potential dangers.